As the cold and flu season hits its peak this month, Ricola®, the leading manufacturer of soothing herb cough drops from Switzerland, is encouraging consumers to trade in their sick days for well days by inviting them to “Call in Well.” Now through January 31st, consumers can call 1-855-4-WELLDAY or text RICOLA (22122) to share what fun things they’d do if they took a “well day” off. One lucky winner per day will win $500. Visit Ricola’s Facebook page for official rules. The goal for the Ricola “Call in Well” promotion is to remind everyone there are steps you can take to feel better this time of year – that way you can go out and enjoy all the great things winter has to offer. I know if I had a "well day" off this winter, I would be in my bed with lots of warm blankets and a great book! I would read it from start to finish with some tasty snacks near by to keep me going! :) I would love to just have a calming day to relax, go to another world in my book, and rejuvenate this winter when the winter blues can definitely take over (especially when it is -45 out like it is right now!)! Don't you want a "well day" off??!!! Doesn't that sound amazing??? 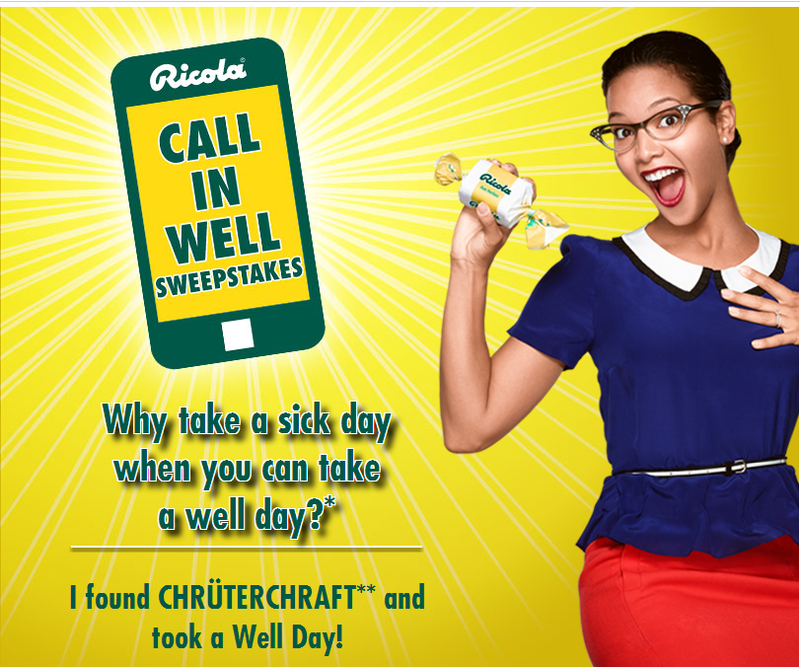 Well then make sure to enter to win a “well day” off from Ricola! After you do that, make sure to enter our giveaway below for a Chrüterchraft Prize Pack! 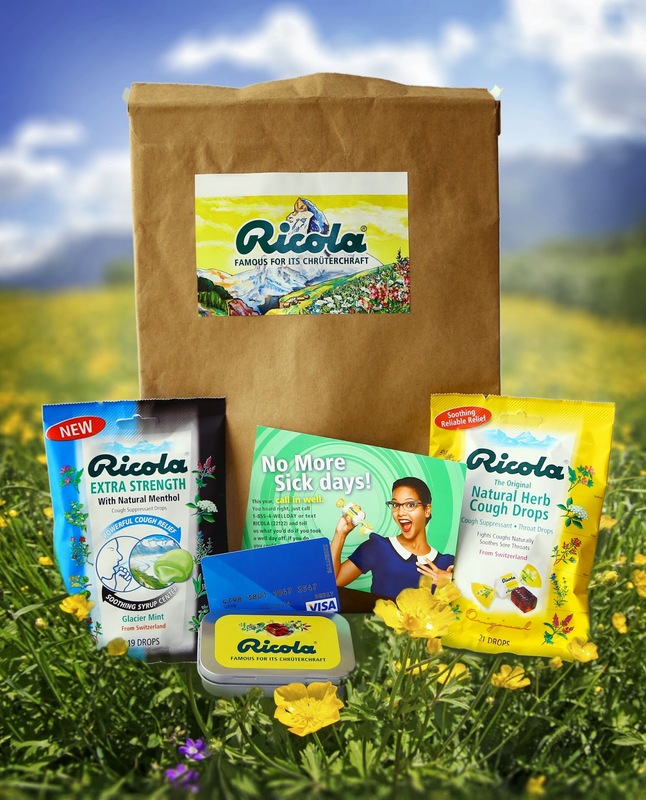 Win It: Ricola is generously offering (1) Chrüterchraft Prize Pack including Ricola Soothing Relief Kit (which includes Ricola product & cough drop tin) & $25 Visa gift card to a lucky winner!